GRT Yamaha have announced that they will be joining the FIM World Superbike paddock in 2019 with Marco Melandri and Sandro Cortese confirmed as riders. The team, who took the 2017 World Supersport Championship title with Lucas Mahias, and finished runners-up in 2018 to their new signing, Cortese, will run two factory-supported Yamaha YZF-R1 machines that they will run for the first time in testing at Jerez in southern Spain starting on November 26. 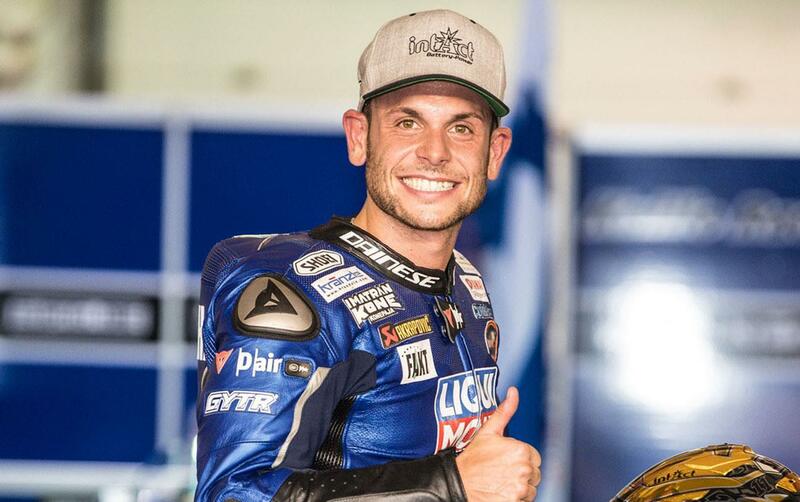 Cortese, 28, will make his World Superbike debut in 2019, but was the first ever Moto3 World Champion in 2012 as well as the reigning World Supersport Champion. "To win the World Supersport championship and then step up to World Superbike with the GRT Yamaha Team is like a dream come true for me," said Cortese. "I'm super happy to be a part of this new project and, although it's a big step, I am really looking forward to the challenge. "I can't wait to jump on the Yamaha YZF-R1 for the first time in Jerez later this month to start the familiarisation process. It will be like Christmas for me; I've never ridden such a big bike before and I am like a small kid who can't wait to get his present!" Melandri, 36, has a wealth of experience and is a former 250cc World Champion as well as a MotoGP race winner. He has also finished each of his World Superbike seasons in the top five since his first in 2011. GRT Team Manager, Filippo Conti is realistic about the size of the task at hand. “We need to learn a lot in this new category, but our target is clear; we want to be as competitive in World Superbike as we have been in World Supersport. "Maybe this isn't possible in our debut season, but that's the goal for the future."